XPEL warrants XPEL ULTIMATE PLUS™ / STEALTH™ Paint Protection Film to be free of manufacturer defects for ten (10) years from the date of purchase. Covered defects include: yellowing, staining, cracking, blistering and delaminating. To file a claim, first attempt to contact the Authorized XPEL Installer who performed the installation. In the event you are unable to contact the original Authorized XPEL Installer, for any reason, please contact XPEL. You must retain the warranty card, a copy of your original receipt identifying coverage areas and remit to XPEL as requested to process your claim. For valid claims, XPEL will have an Authorized XPEL Installer remove and reapply XPEL Protection Film to areas determined to be covered by the warranty including parts and labor. The warranty and remedies described above are the exclusive warranties available. Authorized XPEL Installers do not have authorization to modify or extend the warranty in any fashion. XPEL will be solely responsible for determining validity of all claims and reserves the right to deny claims that do not meet the criteria as described above. The replacement of the defective film, including parts and labor, is the exclusive remedy; liability does not extend to any other damages, incidental, consequential, or otherwise. Reimbursement for labor charges covered by this warranty will be made directly to the Authorized XPEL Installer and will be calculated by using the coverage allowance published by XPEL. XPEL warrants XPEL PRIME™ Automotive Window Film to be free of manufacturer defects for the life of your vehicle. Covered defects include: discoloration, fading, bubbling, peeling, cracking, and delamination. To file a claim, first attempt to contact the Authorized XPEL Installer who performed the installation. In the event you are unable to contact the original Authorized XPEL Installer, for any reason, contact XPEL. You must retain this warranty card, a copy of your original receipt identifying coverage areas and remit to XPEL as requested to process your claim. For valid claims, XPEL will have an Authorize XPEL Installer remove and reapply XPEL Automotive Window Film to areas determined to be covered by the warranty including materials and labor. We, XPEL, Inc., warrant to you, the original purchaser of any XPEL™ Headlight Protection Products that are installed on the factory installed lenses of your vehicle, that such products will be free from defects in materials and workmanship, including, for example, yellowing, cracking, or peeling. This limited warranty is only good for purchases made in the United States (excluding Puerto Rico and U.S. possessions and territories) or Canada. This limited warranty does not cover problems with a warranted product caused by normal wear and tear. It also does not cover problems with a warranted product resulting from external causes such as accident, abuse, misuse, mishandling, collision, alteration, negligence, fire, theft, vandalism, riot, explosion, natural disaster, or other acts of God. Moreover, it does not cover any problems resulting from a usage of a warranted product that is not in accordance with product instructions or resulting from a failure to follow product instructions or a failure to perform preventative maintenance to or parts replacement for your vehicle as suggested by the manufacturer in its maintenance schedule. Finally, it does not cover warranted products for which we have not yet received full payment. This limited warranty does not apply to the quality of the installation of a warranted product on your vehicle. It also does not apply to any problems with a warranted product caused by or relating to the actions or omissions of any contractor who performs work on your vehicle, including, for example, an installer of a warranted product. For example, this limited warranty would not cover problems with a warranted product resulting from such an installer’s installation methods. Contractors are neither our employees nor our agents and they do not have the authority to alter or extend this limited warranty. This agreement is a product warranty and not insurance. NO OTHER WARRANTY OF ANY KIND IS MADE UNLESS EXPRESSLY PROVIDED HEREIN. WE DISCLAIM ALL OTHER WARRANTIES, EXPRESS OR IMPLIED, INCLUDING IMPLIED WARRANTIES OF MERCHANTABILITY OR FITNESS FOR A PARTICULAR PURPOSE, OTHER THAN THOSE WARRANTIES IMPLIED BY, AND INCAPABLE OF EXCLUSION UNDER, APPLICABLE LAW. ANY SUCH IMPLIED WARRANTIES WHICH MAY BE REQUIRED BY LAW AND ARE NOT DISCLAIMED HEREBY ARE LIMITED, TO THE EXTENT PERMITTED BY LAW, TO THE APPLICABLE PERIOD OF THIS LIMITED WARRANTY OR THE SPECIFIED DURATION OF SUCH IMPLIED WARRANTIES UNDER APPLICABLE LAW, WHICHEVER IS SHORTER. WE DO NOT ACCEPT LIABILITY BEYOND THE REMEDIES PROVIDED FOR IN THIS LIMITED WARRANTY OR FOR INCIDENTAL OR CONSEQUENTIAL DAMAGES. OUR LIABILITY WILL BE NO MORE THAN THE AMOUNT YOU PAID FOR THE PRODUCT THAT IS THE SUBJECT OF A CLAIM. THIS IS THE MAXIMUM AMOUNT FOR WHICH WE ARE RESPONSIBLE. THIS WARRANTY GIVES YOU SPECIFIC LEGAL RIGHTS, AND YOU MAY ALSO HAVE OTHER RIGHTS WHICH VARY FROM STATE TO STATE. SOME STATES DO NOT ALLOW LIMITATIONS ON HOW LONG AN IMPLIED WARRANTY LASTS, SO THE ABOVE LIMITATION MAY NOT APPLY TO YOU. SOME STATES DO NOT ALLOW THE EXCLUSION OR LIMITATION OF INCIDENTAL OR CONSEQUENTIAL DAMAGES, SO THE ABOVE LIMITATION OR EXCLUSION MAY NOT APPLY TO YOU. This limited warranty is good for up to seven (7) years from your date of purchase. This limited warranty begins on the date of your proof of purchase, including, for example, your packing slip, invoice, or other receipt. The warranty period is not extended if we repair or replace a warranted product. We may change the availability of our limited warranties at our discretion, but any such changes will not be retroactive. San Antonio, Texas 78216 U.S.A.
You must return the defective product to us in its original or equivalent packaging, prepay shipping charges, and insure the shipment or accept the risk if the product is lost or damaged in shipment. Upon our inspection of the defective product and our determination that your claim falls within the scope of this limited warranty, we will send you a replacement product free of charge (but not including any installation costs). We will make such determination and, if in the affirmative, send you a replacement product, within sixty (60) days following our date of receipt of the materials listed above. If we are not able to replace your warranted product because it has been discontinued or is not available, we will either replace it with a comparable product or reimburse you for your purchase cost (as indicated on your proof of purchase), at our sole option. We will pay to ship the replacement product to you if you use an address in the United States (excluding Puerto Rico and U.S. possessions and territories). Otherwise, we will ship the product to you freight collect. If we determine that the problem is not covered under this limited warranty, we will notify you and inform you of service alternatives that are available to you on a fee basis. Replacement products are covered for the remaining period of the limited warranty covering the warranted product that you bought. We own all warranted products returned to us that are exchanged for a replacement product. May I Transfer This Limited Warranty? You may not transfer this limited warranty. This warranty coverage terminates if you sell or otherwise transfer a warranted product to another party. What Should I Do If I Have a Question, Complaint, or Dispute? If you have a question regarding the terms of this limited warranty or a complaint regarding its application, please do not hesitate to contact us by mail or telephone per our contact information listed. In the event of a dispute concerning this limited warranty (including, for example, our determination of whether your product constitutes a defective product falling within the scope of this limited warranty), you may be entitled to certain rights and remedies under applicable federal and/or state law. IMPORTANT: Read this entire Limited Warranty before purchasing or installing XPEL® brand commercial and residential window films. By installing or using XPEL Technologies Corp. (“XPEL”) window films, you acknowledge that this Limited Warranty is part of the terms of sale. XPEL warrants professionally sold and installed XPEL® brand commercial and residential window films (the “Products”) to be free from the following defects in materials and workmanship: peeling, bubbling, rippling, cracking, adhesive failure, delamination, and dementalization. XPEL does not warrant any conditions of, or damage to, the Products other than the conditions described in this Limited Warranty. Warranty time periods vary and are stated on the schedule on the back of this Limited Warranty. PLEASE NOTE IMPORTANT EXCLUSIONS AND PRE-APPROVAL REQUIREMENTS SPECIFIED ON THE REVERSE SIDE OF THIS DOCUMENT. Except with respect to the exclusion provided below, this Limited Warranty on the Products covers glass breakage due to thermal stress. XPEL reserves the right to have a local representative of its choice inspect the affected window(s) before approving any claim. Upon approval of a claim at XPEL’s sole discretion, XPEL will pay for glass unit replacement up to a maximum of $500 per window. Except with respect to the exclusion provided below, this Limited Warranty extends to seal failure on dual pane units, if and only if the customer has and provides to XPEL a window manufacturer’s warranty against seal failure that has not expired. XPEL reserves the right to have a local representative of its choice inspect the affected window(s) before approving any claim. For approved claims, XPEL only warrants against seal failure for the remaining period of the window manufacturer’s warranty, or the time period noted on the reverse side, whichever is shorter. Upon approval of a claim at XPEL’s sole discretion, XPEL will pay for glass unit replacement up to a maximum of $500 per window. This Limited Warranty does not extend to damage caused by improper Product installation, improper Product application, improper Product care, cleaning or maintenance, abnormal conditions, abuse, misuse, normal wear and tear, accidents, intentional damage of any kind, improper or unauthorized repairs, or any other acts or defects not related solely to defects in materials or workmanship. Buildings with any prior history of seal failure or thermal glass breakage are not eligible for glass breakage or seal failure coverage. Further, in the event of multiple failures on one or more filmed windows, XPEL reserves the right to remove all XPEL window film and reimburse the customer only the amount of the original film installation. This Limited Warranty is offered only to the original purchaser at the time of Product installation. This Limited Warranty may not be transferred, sold or assigned. Rental units are considered commercial properties. This Limited Warranty terminates automatically upon any sale, conveyance or change in tenancy of any property. For valid warranty claims, XPEL will have an authorized XPEL installer of its choice remove and reapply the Product to areas determined by XPEL in its sole discretion to be covered by this Limited Warranty, and XPEL will cover parts and labor. The replacement of the defective film, including parts and labor, is the exclusive remedy for all Product covered under this Limited Warranty. Payment for labor charges covered by this Limited Warranty will be made directly to the authorized XPEL installer and will be calculated by using the coverage allowance published by XPEL. There are no warranties which extend beyond the description on the face hereof, nor are there warranties of fitness for a particular purpose or merchantability applicable to the products. This manufacturer’s warranty does not cover custom products, improper or poor installation of the products which include but is not limited to, squeegeeing, trimming and measuring. In no event shall the manufacturer be liable or responsible for any loss or damage including, without limitation, direct, indirect or consequential damages, except as expressly set forth herein. This limited warranty is made in lieu of all warranties, expressed or implied, and is void if the product has been subject to abuse, improper installation and/or care. This warranty gives you specific legal rights and you may also have other rights which vary by state or province. THERE ARE NO WARRANTIES WHICH EXTEND BEYOND THE DESCRIPTION ON THE FACE HEREOF, NOR ARE THERE WARRANTIES OF FITNESS FOR A PARTICULAR PURPOSE OR MERCHANTABILITY APPLICABLE TO THE PRODUCTS. THIS LIMITED WARRANTY DOES NOT COVER CUSTOM PRODUCTS. THIS LIMITED WARRANTY ALSO DOES NOT COVER IMPROPER OR POOR INSTALLATION OF THE PRODUCTS, WHICH INCLUDES BUT IS NOT LIMITED TO SQUEEGEEING, TRIMMING AND MEASURING. TO THE FULLEST EXTENT PERMITTED BY LAW, THIS LIMITED WARRANTY DOES NOT EXTEND TO, AND IN NO EVENT SHALL XPEL OR ANY AUTHORIZED XPEL INSTALLER BE LIABLE FOR, ANY INDIRECT, SPECIAL, INCIDENTAL, EXEMPLARY, CONSEQUENTIAL OR OTHER DAMAGE ARISING OUT OF THE INSTALLATION OR USE OF THE PRODUCT. SOME JURISDICTIONS DO NOT ALLOW THE EXCLUSION OR LIMITATION OF INCIDENTAL OR CONSEQUENTIAL DAMAGES, SO THE ABOVE LIMITATION OR EXCLUSION MAY NOT APPLY TO YOU. THE EXPRESS WARRANTIES AND REMEDIES DESCRIBED ABOVE ARE THE EXCLUSIVE WARRANTIES AND REMEDIES AVAILABLE AND ARE IN LIEU OF ALL OTHER WARRANTIES AND REMEDIES, EXPRESS OR IMPLIED. XPEL HEREBY DISCLAIMS ALL OTHER EXPRESS AND IMPLIED WARRANTIES, INCLUDING THE IMPLIED WARRANTIES OF MERCHANTABILITY AND FITNESS FOR A PARTICULAR PURPOSE. TO THE FULLEST EXTENT PERMITTED BY LAW, IN NO EVENT SHALL XPEL’S LIABILITY EXCEED THE PRICE PAID FOR THE PRODUCT. THIS PROVISION SETS AN UPPER LIMIT TO THE AMOUNT OF DAMAGES, IF ANY, THAT THE OWNER OF THE PRODUCT MAY RECOVER FOR ANY AND ALL CLAIMS AND CAUSES OF ACTION. THIS LIMITED WARRANTY GIVES YOU SPECIFIC LEGAL RIGHTS, AND YOU MAY ALSO HAVE OTHER RIGHTS WHICH VARY FROM JURISDICTION TO JURISDICTION. This Limited Warranty is the Product owner’s sole and exclusive remedy. To file a warranty claim, you must first submit, within the Limited Warranty period, this warranty card and a copy of your original receipt for the Product identifying coverage areas, along with a detailed description of the purported defect to the authorized XPEL installer who performed the installation of the Product, or in the event you are unable to contact the original authorized XPEL installer, to XPEL at the address below. All warranty claims must include the claimant’s name, phone number, address and the installation address (if different). All warranty claims must be approved by XPEL, and XPEL has the sole authority and discretion to determine the validity of all claims. XPEL reserves the right to deny claims that do not meet the criteria or are otherwise excluded as described above. For more information on this Limited Warranty, call the toll-free telephone number listed below. Second, if your claim or contention is not resolved within thirty (30) days after XPEL’s receipt of your written notification above, any and all claims, causes of action or demands arising from or related to the Product or this Limited Warranty will be subject to mandatory, good-faith mediation to take place in San Antonio, Texas, United States of America at a mutually agreeable time, or at such other location to which XPEL, in its sole discretion, agrees in writing. Such mediation must be held within sixty (60) days after the date that you notify XPEL, in writing, of the specific act and/or omission that forms the basis of your claim related to the Product and/or your contention that XPEL has not performed its obligations under this Limited Warranty. Your good faith participation in such mediation is a condition precedent to the initiation or filing of any arbitration or legal proceeding against XPEL. Third, if such mediation is unsuccessful, any and all claims, causes of action or demands arising from or related to the Product or this Limited Warranty will be subject to binding arbitration administered by JAMS. By installing or using the Product, you agree that the exclusive and mandatory venue and location for any arbitration arising from or related to the Product or this Limited Warranty shall be in San Antonio, Texas, United States of America, unless XPEL agrees in writing, at its sole discretion, to conduct such arbitration in another venue or location. You may file suit against XPEL in a court of competent jurisdiction only to enforce an award rendered, if any, in an arbitration conducted pursuant to this Limited Warranty. With the sole exception of your right to enforce an arbitration award as provided herein, by installing or using the Product, you agree to: (1) waive any and all right to assert or maintain litigation against XPEL in any court, tribunal or any foreign or international forum, and (2) waive any and all right to a trial by jury. FOR COMMERCIAL & RESIDENTIAL GLASS BREAKAGE SEAL FAILURE COVERAGE, PRE-APPROVAL LISTS, AND PROHIBITED USE, PLEASE REFER TO THE FULL VSION WARRANTY DOCUMENTAION AT THIS LINK. XPEL RX Protection Film is warrantied to be free of manufacture defects for two (2) years from the date of purchase. Covered defects include: yellowing, cracking and delaminating. This warranty does not extend coverage to damage caused by normal wear and tear, accidents or intentional damage of any kind. XPEL RX Protection Film is warrantied to be free of manufacture defects for five (5) years from the date of purchase. Covered defects include: yellowing, cracking and delaminating. This warranty does not extend coverage to damage caused by normal wear and tear, accidents or intentional damage of any kind. To file a claim, contact the Authorized XPEL Installer who performed the installation. In the event you are unable to contact the original Authorized XPEL Installer, for any reason, please contact XPEL at (800) 447-9928 or support@xpel.com. You must retain this warranty card, a copy of your original receipt identifying coverage areas and remit to XPEL as requested to process your claim. For valid claims, XPEL will have an Authorized XPEL Installer remove and reapply XPEL Protection Film to areas determined to be covered by the warranty including parts and labor. XPEL warrants LUX PLUS, LUX-M, ZEUS, MPD, and ASP Paint Protection Film to be free of manufacturer defects for ten (10) years from the date of purchase. Covered defects include: yellowing, staining, cracking, blistering and delaminating. To file a claim, please contact the Exclusive Distributor, ET, in China. 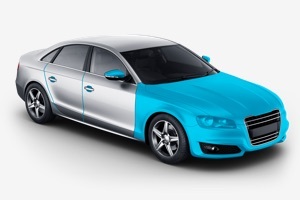 XPEL warrants PROTEX Paint Protection Film to be free of manufacturer defects for ten (10) years from the date of purchase. Covered defects include: staining, cracking, blistering and delaminating. XPEL warrants professionally sold and installed XPEL FUSION PLUS Ceramic Coating (the “Products”) by an XPEL certified installer to protect your vehicle’s paint finish against: oxidation, loss of gloss, UV damage, Bug impacts, color fading, acid rain and paint chalking. XPEL does not warrant any conditions of, or damage to, the Products other than the conditions described in this Limited Warranty. Warranty time periods are four (4) years and are dependent on registration upon installation. Failure to register warranty within 30 days of application, will result in the warranty being terminated. Water spots – water spots are caused by mineral deposits, which if left to dry on the paint and/or ceramic coating may leave a stain, water spots are not covered. This Limited Warranty is offered only to the original purchaser at the time of Product installation. This Limited Warranty may not be transferred, sold or assigned. This Limited Warranty terminates automatically upon any sale, trade or exchange of vehicle. For valid warranty claims, XPEL will have an authorized XPEL installer of its choice remove and reapply the Product to areas determined by XPEL in its sole discretion to be covered by this Limited Warranty, and XPEL will cover parts and labor. The replacement of the defective coating, including parts and labor, is the exclusive remedy for all Product covered under this Limited Warranty. Payment for labor charges covered by this Limited Warranty will be made directly to the authorized XPEL installer and will be calculated by using the coverage allowance by XPEL. Annual inspections must be carried out by an XPEL Certified Installer, within 30 days before or after the installation date of the application or last service date. Failure to complete the inspection, within the required time will void the warranty. Any fee’s or charges by the XPEL Certified Installer will be charged to the owner in order to do the annual inspection – includes but not limited to – exterior wash, decontamination, and inspection. Please keep proof of all inspections, as they must be provided if/when you have a warranty related issue. Damage that may be covered under this Limited Warranty must be notated to XPEL within 30 days, failure to do so, will result in the warranty being terminated. 1. XPEL will have an authorized XPEL installer of its choice remove and reapply the “Product” to areas determined by XPEL in its sole discretion to be covered by this Limited Warranty. Payment for labor charges covered by this Limited Warranty will be made directly to the authorized XPEL installer and will be calculated by using the coverage allowance by XPEL. OR 2. XPEL will pay the owner of the vehicle a maximum amount of $1,000 or the cost of coating application (whichever is less) in full and final settlement of the customers claim under warranty. These are the exclusive remedies for all “Product” covered under this Limited Warranty. There are no warranties which extend beyond the description on the face hereof, nor are there warranties of fitness for a particular purpose or merchantability applicable to the products. This manufacturer’s warranty does not cover custom products, improper or poor installation of the products which include but is not limited to, application, curing, preparation and detailing. In no event shall the manufacturer be liable or responsible for any loss or damage including, without limitation, direct, indirect or consequential damages, except as expressly set forth herein. This limited warranty is made in lieu of all warranties, expressed or implied, and is void if the product has been subject to abuse, improper installation and/or care. This warranty gives you specific legal rights and you may also have other rights which vary by state or province. WHAT DO I DO IF I NEED TO MAKE A WARRANTY CLAIM?